Shinju was born in Kobe. 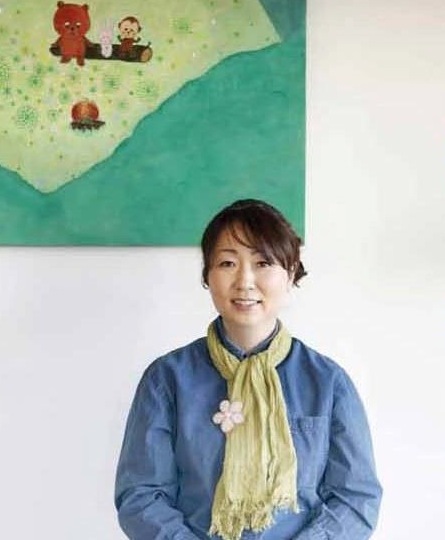 She graduated from Kobe College and then studied writing and illustrating picture books in Osaka and New York. In 1998, Shinju's first picture book, A Pumpkin Story, (Greene Bark Press) was released in the United States, and translated into Japanese in 2000. In 2004, Kodansha published the first of the Mottainai Grandma (Mottainai Bāasan) books, and many prominent children's magazines and newspapers picked up the main character as a vehicle to promote an ecologically friendly lifestyle. In 2008, Shinju created "Mottanai Grandma's World Report Exhibition", which chronicled problems facing the Earth today and how children have become victims because of it. The exhibition toured Japan extensively with favorable reviews. Shinju is also active in promoting biodiversity. She said "mottainai" contains a sense of respect. If we could respect each other, the world would be at peace. Mottainai Grandma has these messages for us: "If we have a sharing mindset instead of only looking out for ourselves, we can make a peaceful world," and, "All lives are interconnected and each one is precious."